Twice the coverage of standard Wi-Fi access points. Immunity from interference with Smart Antennas. Secured Wi-Fi access using WPA2 Enterprise. In-built ‘Quality of Service’ for voice, video and data traffic. Even with the compelling benefits as stated above, the implementation of Wi-Fi is not an easy business decision. The authorities are concerned about security on wireless and ubiquitous coverage within the office. Further, multiple Wi-Fi devices interfere with each other and degrade the overall network performance making it difficult for the IT administrator to manage. 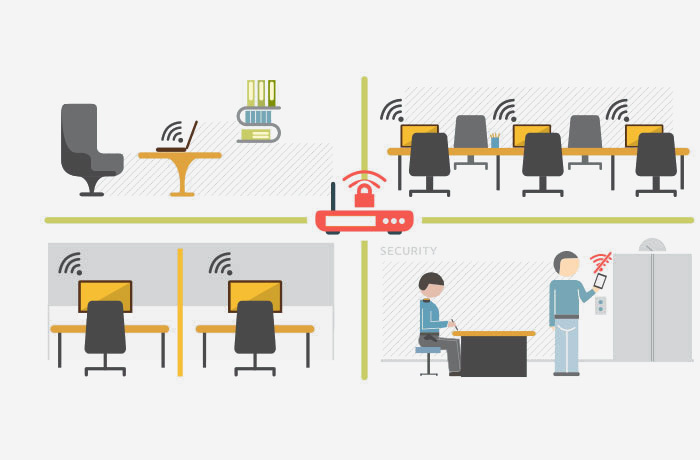 Tikona Enterprise Solutions addresses these concerns with its secured office Wi-Fi solution. Powered by 4G technologies like OFDM, MIMO and Smart Antenna technology, the solution comes with unique features that are not available with standard Wi-Fi solutions.